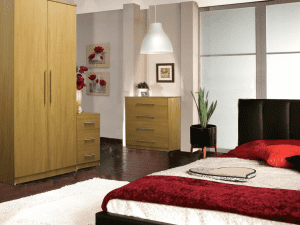 When you’re looking for high-quality bedroom furniture, Let Us Furnish has the answer to all your needs. 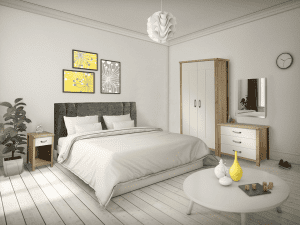 Specialising in bedroom packages that are suitable for a variety of applications, these include student and professional accommodation, local authorities, the social housing sector and more. 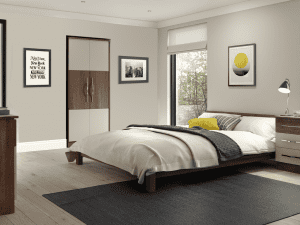 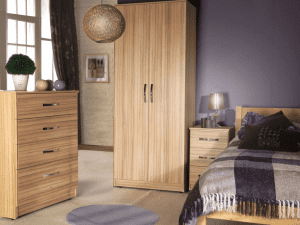 Supplied with a warranty of 1-5 years, our bedroom sets come in all shapes and sizes, to suit every budget – starting at £199. 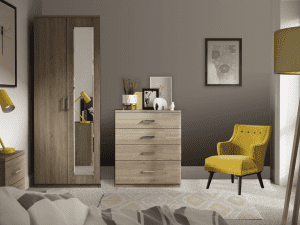 With a selection of furniture to complete your bedroom décor, we have double and single wardrobes, chest of drawers, bedside tables and bedside drawers. 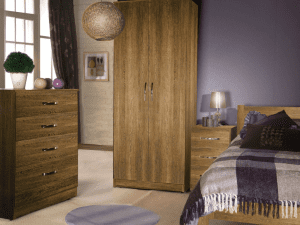 Available in a variety of colours and finishes, including oak, walnut, beech, maple, high-gloss white, high-gloss cream and more, you can choose a package that will suit your every need. 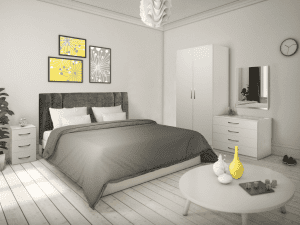 A comprehensive range of bedroom packages ensures we have the perfect complement for any setting.